Anti-corruption blogger Alexei Navalny has become a member of the board of directors of the state-controlled company Aeroflot. His candidacy was backed by minority shareholders. Blogger Alexei Navalny was elected to the board of directors of Russia’s largest state-controlled airline, Aeroflot, at yesterday's annual shareholders meeting. His candidacy was proposed by Alexander Lebedev’s National Reserve Bank, which controls about 15 percent of Aeroflot. Andrei Rozhkov of the Moscow-based investment and financial company Metropol estimates that Mr Navalny won 787 million votes, approximately 6 percent of the total number of shareholders. Open Joint Stock Company Aeroflot is Russia’s largest airline. In addition to Aeroflot, the group includes the air companies Vladivostok Avia, Sakhalinskiye Aviatrassy, and Orenburg Airlines. In 2011 Aeroflot earned 135 billion roubles and reported net profits of 10.4 billion roubles. The company carried more than 20 million passengers in 2011. Member of the Aeroflot Board is the highest position Navalny has ever held in a state-controlled company. He even wrote “Fly Aeroflot” in his Twitter blog. Navalny also noted that the international advisors ISS and UK-based Glass Lewis, who give voting recommendations to minority shareholders, described him as an independent director and also supported his candidacy. 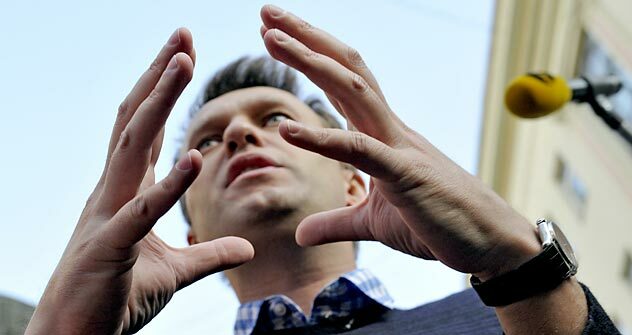 Navalny also wrote that, as a member of the board of directors, he intended to do “what I usually do, that is, defend the rights of minority shareholders and the interests of the company.” Navalny will be paid in the same manner as the other board members if the next Annual Meeting so decides. After researching the company, he reported last year that the members of the board of directors were paid a total of 18 million rubles ($544 million). The other members of the 11-member board are: Sergei Alexashenko, director of macro-economic studies at the Higher School of Economics, Kirill Androsov, member of Altera Capital Management AG board of directors, Alexei Germanovich, Skolkovo director of social and government programmes, Igor Kogan, chairman of the supervisory boards of the non-profit partnership Interbank Settlement Group, Igor Lozhevsky, senior executive director of JSC Deutsche Bank, Gleb Nikitin, deputy head of Rosimuschestvo, Vitaly Savelyev, general director of Aeroflot, Dmitry Saprykin, Aeroflot deputy director for legal and property matters, Alexander Tikhonov of the federal transport ministry and Sergei Chemezov, General Director of Rostekhnologii.